‘ Now we are living in an age everything has to be fast. We are living in an odd world where the written word is at a discount. To me, a book is a long journey. I don’t like short cuts. Literature can only survive with individual taste. It cannot be mass opinion’ . There are many writers in English from the sub- continent who mad a mark on the world literary stage. One of them was Ved Mehta, who, despite all odds, has contributed a lot to English literature. He wrote about 24 books. Several of them deal with the subject of blindness. He wrote many articles for New Yorker. He has been a prolific writer on various issues. His forte is the personal essay, but the personal essay of ideas,and nearly all the essays in The Ved Mehta Reader record his experiences with some of the more complex philosophical and political issues of modern life. (A ved Mehta Reader ( critical survey of contemporary Fiction) www.enotes.com). He has lived in different cultures and therefore, brings all his experience into his works. The uniqueness not only reflected in his autobiographical writings but also in the images he conveyed through fictional figure and situations. Though he was born in a relatively well- to- do family and his father being a doctor, he was exposed to the poverty stricken India early in life while he was studying in Bombay. He has written his experiences with society and the stigma of blindness that resulted in many humiliating experiences. He is concerned about those poor blind people who could not afford special education which he was lucky to have due to his parents affordability. 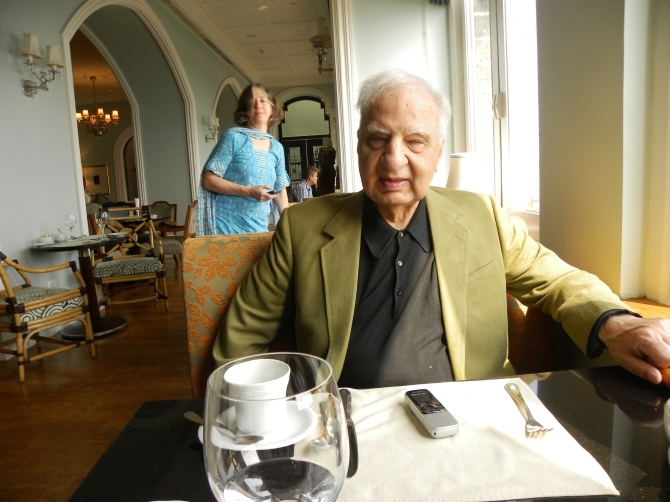 Ved Mehta’s writings discuss not only obstacles to visually impaired and the ways of overcoming them but also various social, political and literary issues. When Borges, another writer, went blind he didn’t think of himself as handicapped. He merely thought of it as a changed condition, he said. … It is all about the way that one defines himself or herself and the world.